If you think that stock is just for risottos and soups, it's time to think again. As any chef knows, a good stock often forms the backbone of a dish, forming the basis of a multitude of sauces, as a flavourful poaching liquid, or for braising meat. Take stock with these five springtime recipes, all showing off how stock can bring a dish to life. 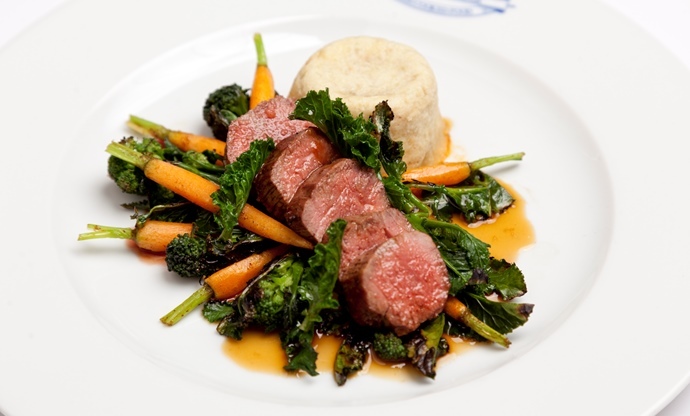 Emily Watkins' beautiful lamb loin recipe looks like spring on a plate, with a combination of baby carrots, sprouting broccoli and seasonal lamb offering a rainbow of colours. The steamed pudding contains an unctuous braised lamb shoulder filling, cooked slowly in rich lamb stock and white wine for a perfectly balanced flavour. 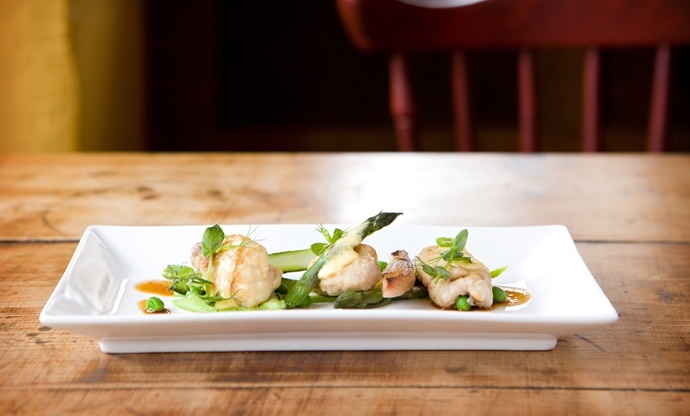 Sean Hope’s dish is a bright and beautiful spring creation, with delicate sweetbreads served with iconic British springtime ingredient asparagus, pea purée and a rich lamb and Madeira sauce, made with reduced beef stock and lamb stock for a rounded, full flavour. Chicken stock is great for braising pork, as it lends a delicate flavour that allows the meat to take centre stage. 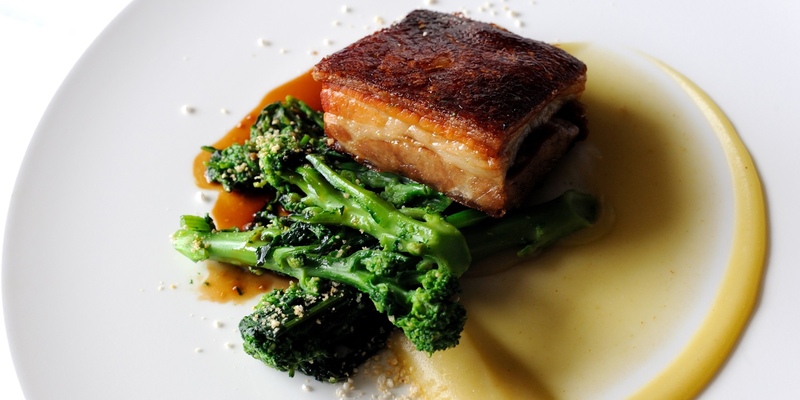 Simon Hulstone slowly braises his pork belly in chicken stock and aromatics until tender and uses the resulting braising liquid to make a rich sauce. 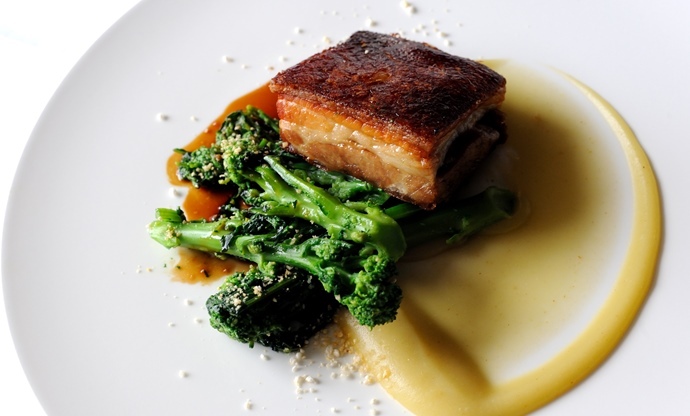 Served with purple sprouting broccoli and apple purée, this would make an unforgettable dinner party dish. Tom Aikens’ dish poaches salmon fillets in a delightful blend of fish stock, vermouth and citrusy aromatics in this simple salad recipe. Served with springtime favourite watercress and some perfectly boiled eggs, this recipe is one to whip up as the weather starts to improve. The impressive recipe from the Galvin brothers is a signature dish of the duo – a pillowy crab and scallop mousse nestled between layers of fresh pasta sheets. The dish would not be what it is without the stunning beurre nantais, which uses chicken stock, cream and plenty of butter to cloak the lasagne in an unctuous rich sauce. For even more tempting recipes perfect for springtime take a look at our collection of spring recipes.